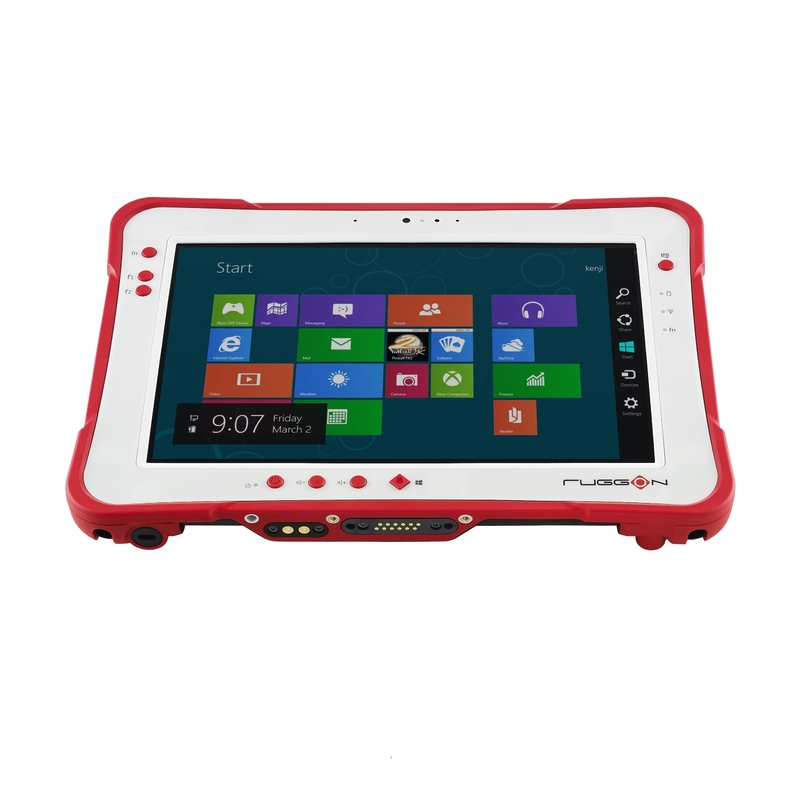 May 13, 2015, Taipei, Taiwan – RuggON, the rugged mobile specialist, announces a new version of its Rextorm Rugged Tablets, PX-501B, powered by Intel’s latest 5th Generation Core™ i5 processors(5350U) with Intel Turbo Boost Technology up to 2.9GHz, Intel vPro Technology, and integrated Intel® HD Graphics 6000(up to 1GHz.) 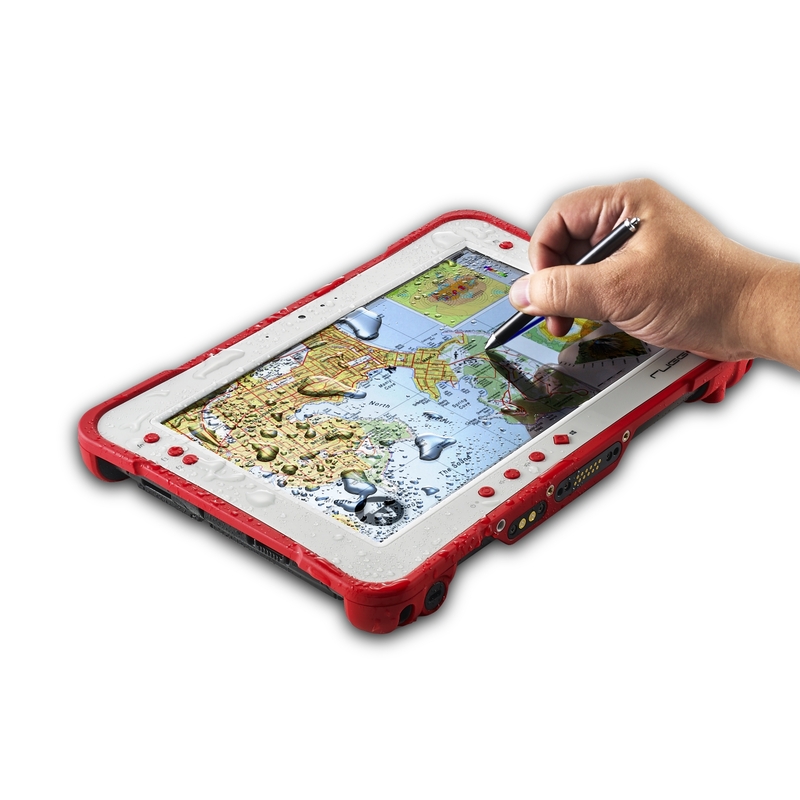 Besides better multi-tasking and graphics capability this processor update means up to 30% better battery life for the new 10.1” Rextorm PX-501B tablet with 6.5 hours using the regular battery or 13 hours using the extended life battery. 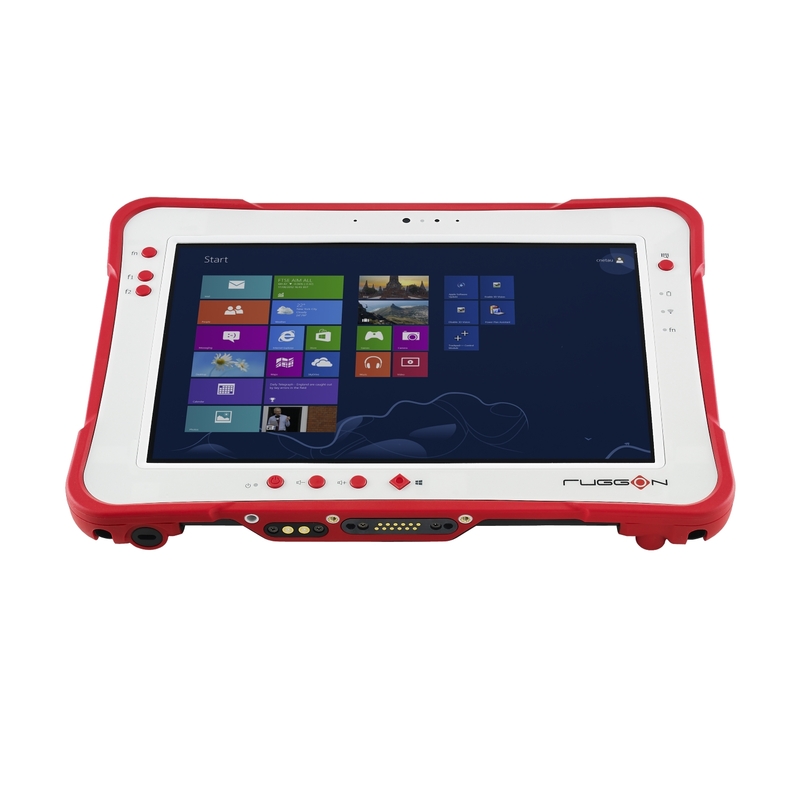 This latest Rextorm PX-501B tablet will be released in conjunction with a line of Rextorm peripherals including full featured vehicle and office docking solutions. 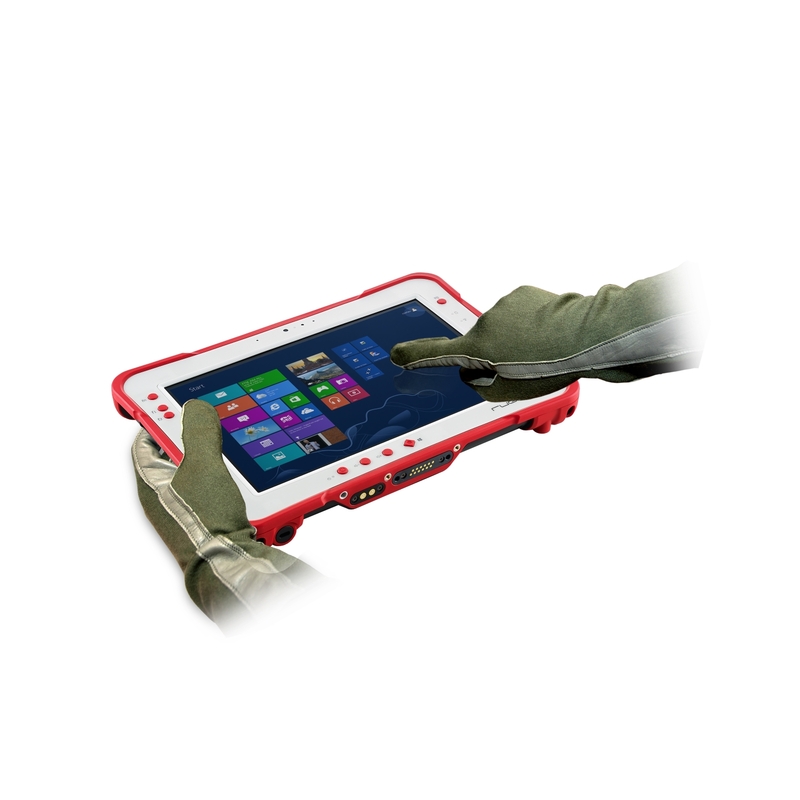 Leveraging Intel’s latest 5th generation Broadwell processors, RuggON’s Rextorm tablets, PX-501B will feature enhanced battery life, with up to 6.5 hours with the regular battery and 13 hours of service in the field using the extended battery. 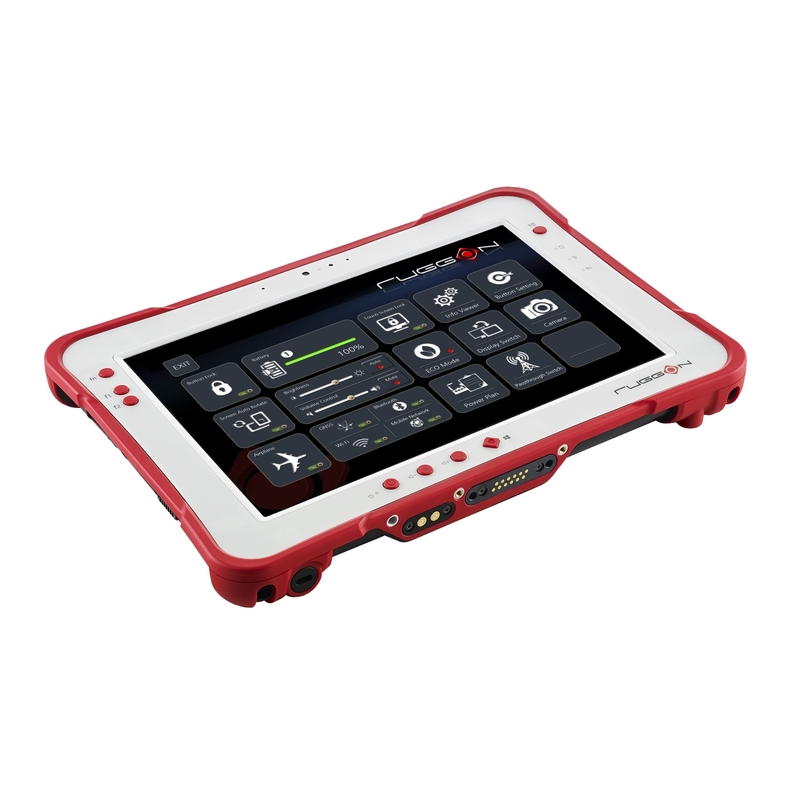 With a hot swappable battery design, the new Broadwell series of Rextorm tablets offers long, extendable service life in the field. The new Broadwell powered Rextorm Tablets,PX-501B, will feature a more powerful Intel® HD Graphics 6000 GPU powering its 1000nit optically bonded display for enhanced graphics capability and faster performance. That means better mapping, video processing and visualization performance in the field for GIS, law enforcement, utility workers and more. With design continuity, the new Broadwell powered Rextorm tablets,PX-501B, will use the same housing as previous Rextorm tablets, so accessories such as Barcode/Magnetic Stripe readers or batteries are fully inter-compatible. 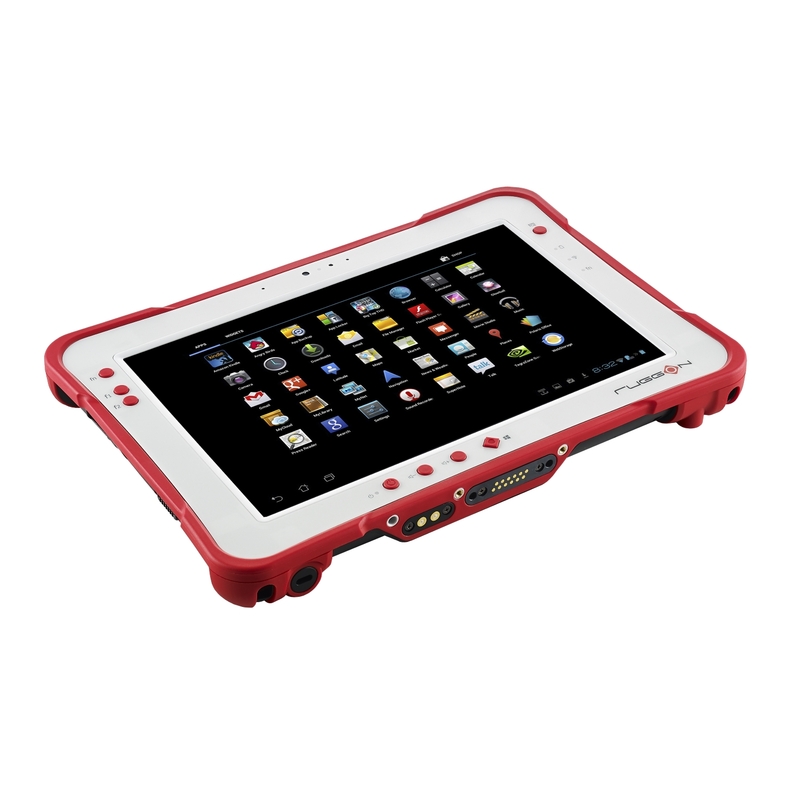 The Broadwell Series Rextorm tablets offer the latest VD04 Vehicle Docking solution from RuggON, an IP54 rated water and shock resistant vehicle mounting solution that can stand up to the abuse of off-road driving. An automotive power supply with built-in fuse supports 9-32V power and ignition on/off switching. CANbus and DI/DO connectivity means strong integration with in-vehicle sensors and systems allowing for vehicle monitoring and control. Rich I/O connectivity is provided through four USB ports, two RS232 Serial ports, as well as VGA, HDMI and Ethernet ports and a dual antenna pass-through design ensures strong WiFi/GPS/WWAN reception. An office dock allows for desktop usage of the RuggON Tablet and easy attachment to an external screen and keyboard. 4 USB ports for peripherals as well as VGA, HDMI and Gigabit Ethernet ports are available. 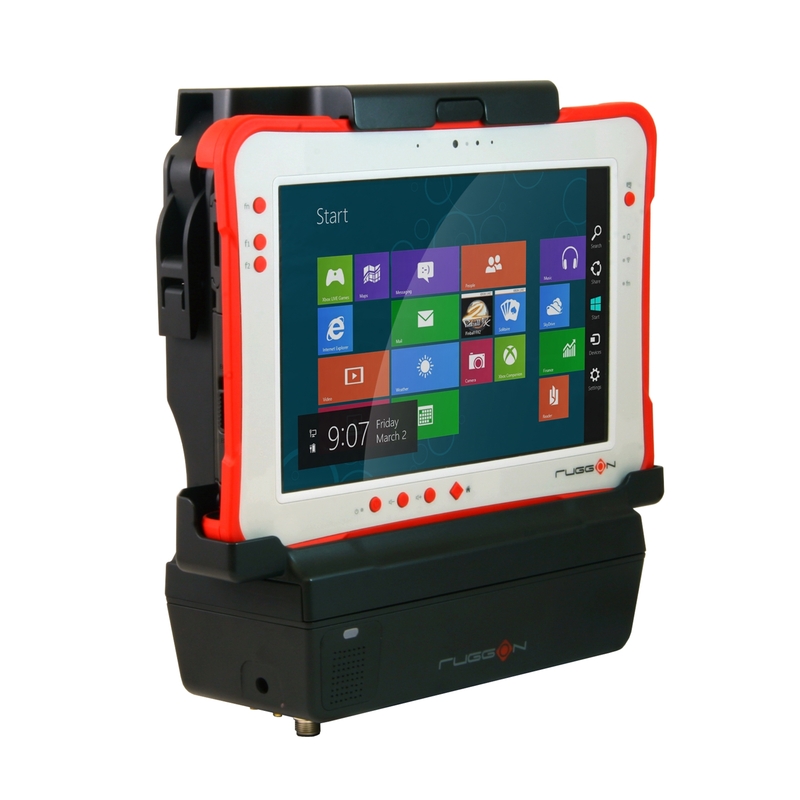 The new Rextorm tablets, Docking solutions, and a dual battery charger accessory will be on display at Computex 2015. 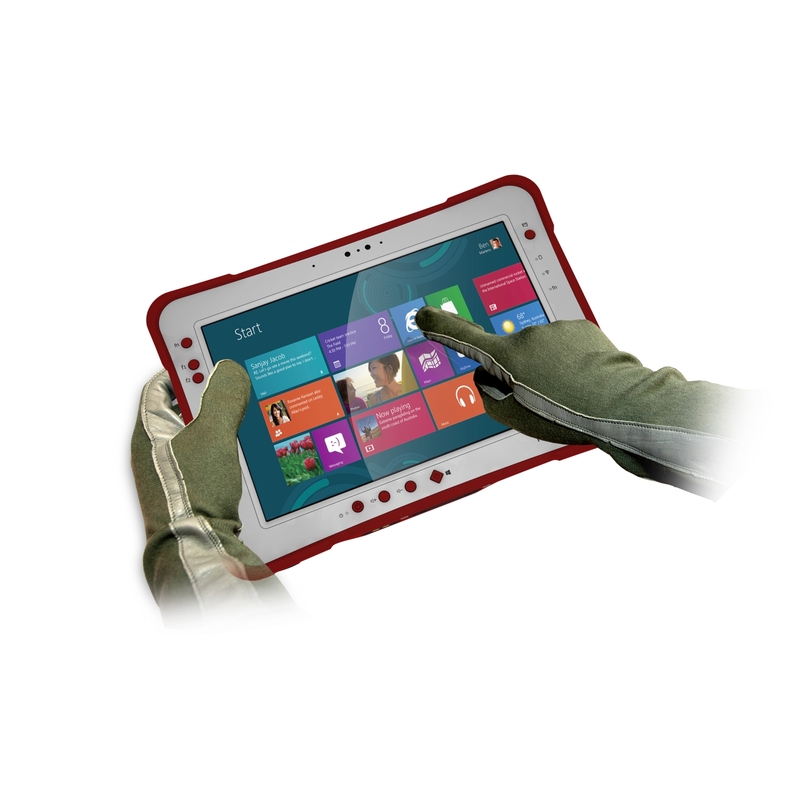 A Rextorm-controlled UAV demonstration will be used to show the capability of the Broadwell-powered RuggON tablet. The PX-501B Broadwell based Rextorm will be available for order from distributors May 2015 at a base RRP of $2,799. 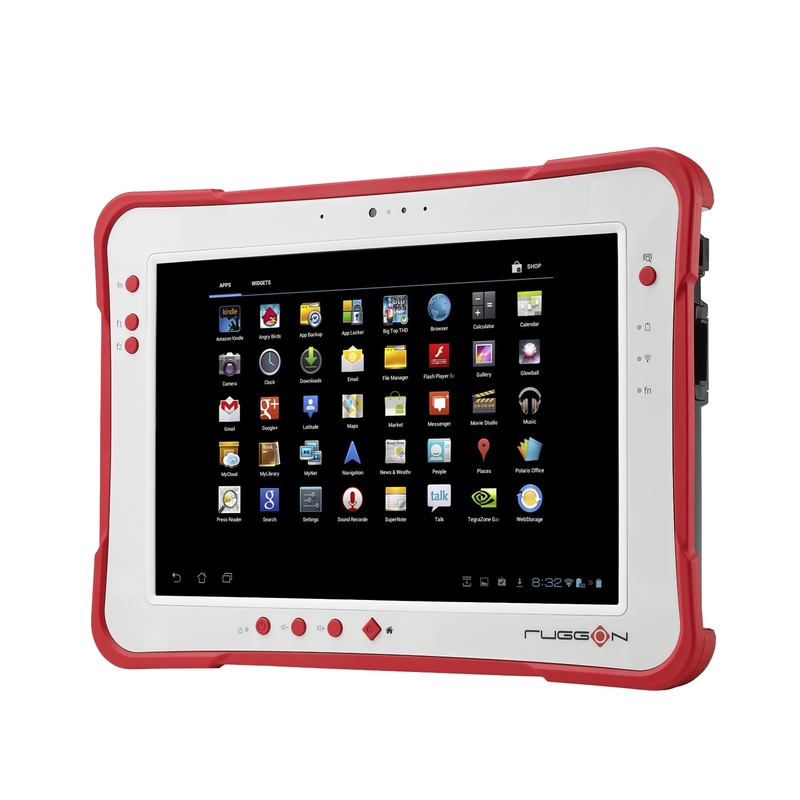 RuggON stands alone as the dedicated rugged tablet specialist. 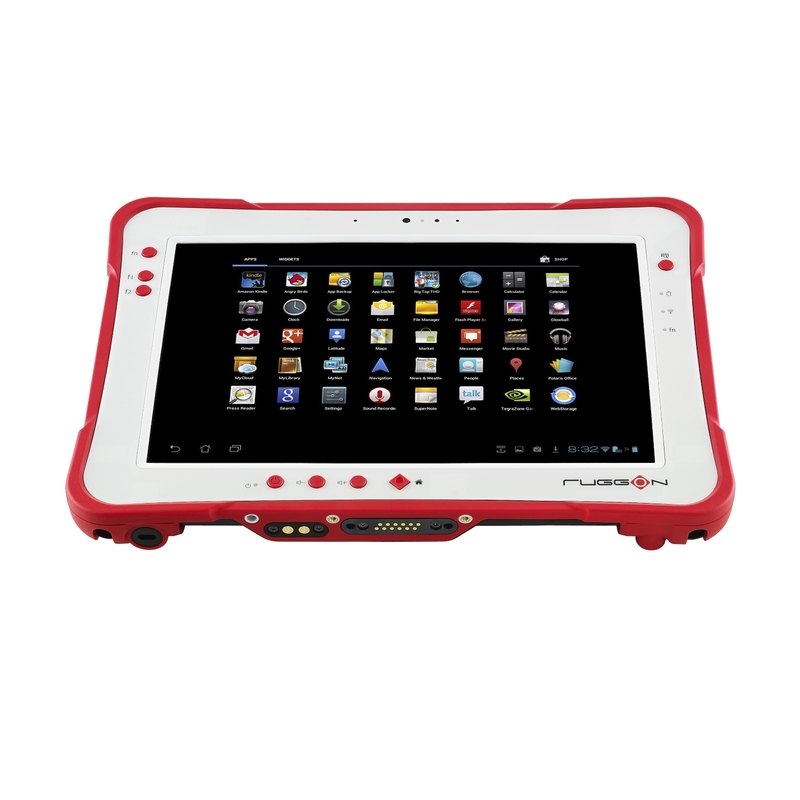 Founded with the mission to improve productivity of ruggedized tablets for demanding professionals working in extreme environments, RuggON's engineering & design team has over a decade of rugged experience. 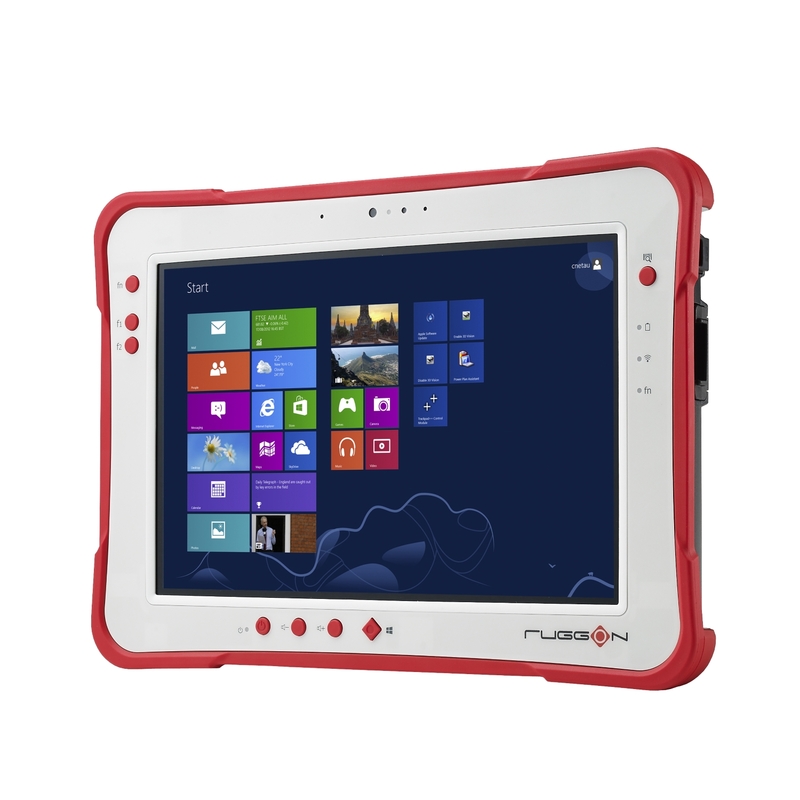 RuggON’s focus means better products for its customers and its dedicated engineers deliver intuitive and user-friendly designs by listening to the needs of users.